If you’re looking for a nice Christmas present for yourself, Bento&Co has a really beautiful line of boxes now called Style Lunch Nature. The box is a circular three-tier box with a lid to cover each tier, which is a really good feature in a bento box because then when you’re unstacking the box, you don’t have to worry about food or moisture stuck to the bottom of it and messing up your table. 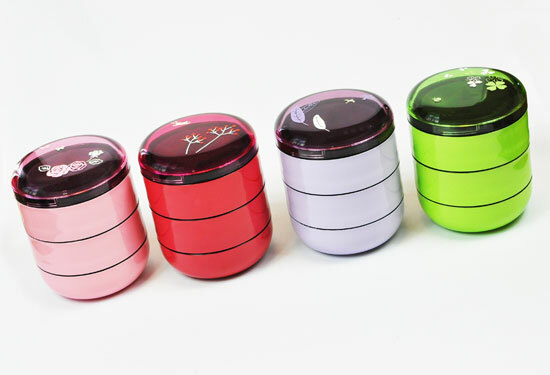 The boxes are available in four colors, pink, red, light purple, and green, each with a unique design. Although they’re on the pricier side at $27, they are on the bigger side with three tiers. 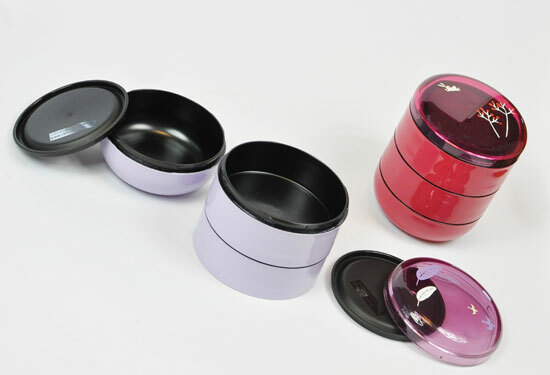 Each tier is 4″ in diameter, which means you can pack quite a bit of food in it. It even looks like you could pack a snack in the top dome. I’ve been thinking about getting one for myself, but my conscious is telling me I better not since I already have so many bento boxes I’m not even using on a daily basis. 🙁 Out of the four, I think I like the green one the best. Which is your favorite? Buy this box at Bento&Co.